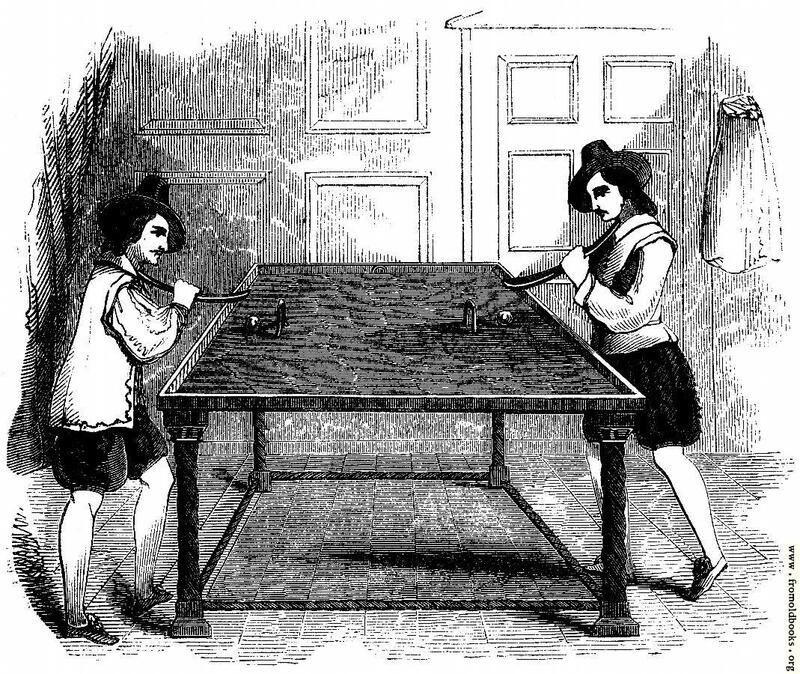 I’d also note that the sticks, or cues, are not at all what one would expect to see today; whether Sir Charles Knight did not notice, or chose not to mention this, or whether billiards cues in the 1840s were as drawn here, is not clear. The book mentioned in the quoted passage is The School of Recreation by R. Howlett; he also wrote The Angler’s Guide. The first edition was in 1684. The game of billiards was originally played outdoors on the ground; it is the forerunner of snooker and of the game of pool.